Who doesn’t know Foghorn Leghorn? This cartoon rooster single-handedly made Leghorn chickens a household name. 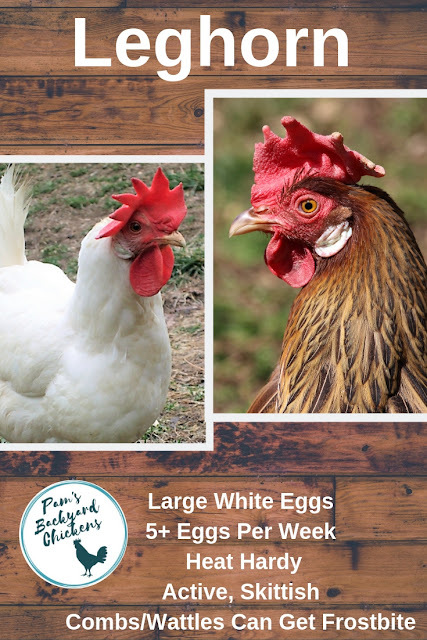 But aside from cartoon fame, Leghorns are famous among backyard chicken owners for being a reliable and prolific white egg laying chicken breed. I enjoy having Leghorns in my backyard chicken flock. The White Leghorns are slightly better at egg laying but really not enough to make a big difference. I do have to say the White Leghorns started laying a bit earlier than the Brown Leghorns. There is a substantial size difference between the two types; the Brown Leghorns are much bigger. As an example, I can hold the White Leghorns upside-down in one hand. I cannot do this with the Brown Leghorns. I know the hatcheries classify this breed as active and skittish and this definitely applies to my Brown Leghorns. But, I found my White Leghorns to be very personable, easy going and downright docile, hence the upside down hand trick mentioned above. Both breeds love to fly if you don't clip their wings. Ours can often be found grazing somewhere outside of the fenced yard. I don’t clip their wings because I want them to be able to escape predators. Leghorns as a family originated in the Mediterranean as an egg-laying species. They can develop spurs as they grow older and this is the case with one of my Brown Leghorns. Although better suited for warmer climates, my Leghorns do well in winter. During the cold months, I am mindful of their big, floppy combs and I make sure to cover them generously with Vaseline to prevent frostbite. Overall, Leghorns are a great addition to a backyard flock! Does Chicken Egg Color Affect Taste? This is a question I had when I first started raising backyard chickens and it's one I get a lot when people see our green eggs. I also hear people say they really like brown eggs better. And even seasoned chicken keepers will say some of their chickens lay eggs that taste more creamy and better than others.They associate egg taste with shell color. But do eggs with different colored shells taste different? The real answer to this question is no. Egg shell color has nothing to do with taste. How Are Chicken Eggs Formed? Egg formation takes around a day and starts with ovulation where the yolk (or oocyte) is produced by a hen's ovary. The yolk is then released into the oviduct where it can be fertilized if you've got a rooster. The egg formation process continues whether the egg is fertilized or not. The yolk moves down the oviduct where it is covered by the vitelline membrane, structural fibers (or chalazae) and egg white (or albumen). As the egg is moving, it's spinning and the chalazae twist and anchor the yolk to the white; one on each side of the egg. 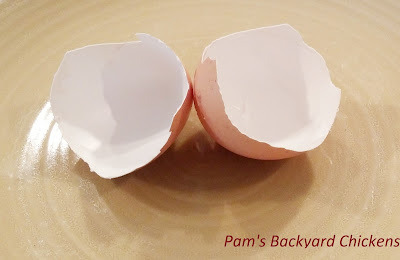 The eggshell, which is made of calcite, is formed around the egg. This is the last step in the egg formation before it is laid. No matter the egg color, all eggs go through this same process. How Is Chicken Egg Color Applied? I think this is the most interesting part of the process. All eggs start out white because they are formed of calcite which is a crystallized form of calcium carbonate. If you've got a white egg laying chicken breed like leghorns in your flock, then nothing else happens and the egg stays white. 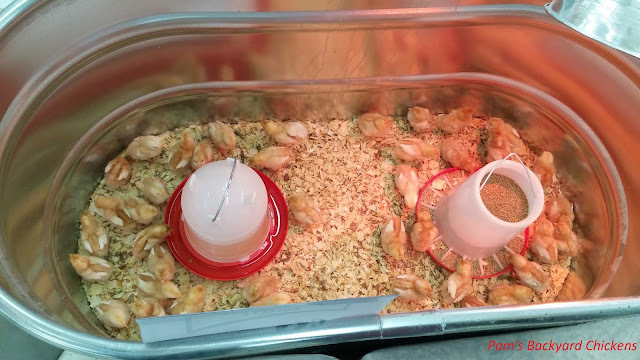 If you have brown egg laying chicken breeds in your flock like Rhode Island Reds, Buff Orpingtons Barred Rocks or Austrolorps, then the process continues. The brown color or pigment is laid fairly late in shell formation and does not penetrate through the shell. That's why the inside of a brown egg is white. If you have green or blue egg laying chicken breeds like Ameraucanas or Olive Eggers, the process is even more interesting. Blue pigment is applied fairly early in the process and sinks through the entire shell. If you've got a blue egg layer, then the process is done at this point. If you've got a green egg layer, then there's one more step. Brown pigment is actually applied after the blue pigment. It's late in the process so it doesn't sink through the egg shell, but it does mix with the blue on the surface to create green. Ameraucana sitting on nest of green eggs. What Makes Eggs Taste Different? I do agree that some eggs taste different. But, it really has nothing to do with the shell color. Egg taste depends on so many factors. 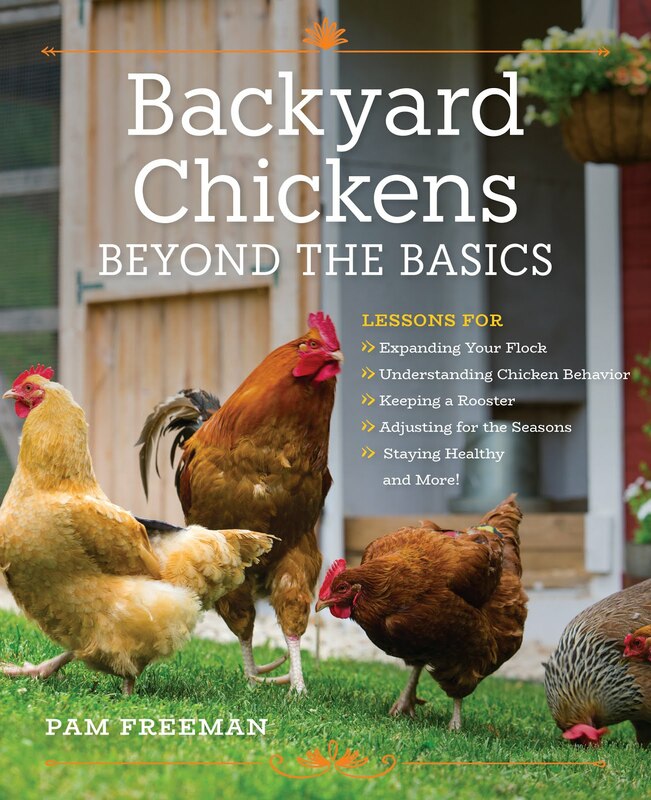 Are your backyard chickens allowed to free range and get as many bugs,small animals and greens as they can find? If so, their eggs yolks are going to be more colorful and taste more creamy than eggs from a bird that's only been allowed to eat commercial feed. Just what are your chickens eating when they free range? Some foods do affect the taste of an egg. Also, how fresh are your eggs? If they're going right from your coop's nest to the frying pan, they're going to have a lot more flavor than something that's been in a refrigerator for a few weeks. So, next time you hear someone say they like one egg color more than another, you'll know the reality behind that egg color.